Last Sunday, Nov. 11, was the 100th anniversary of the signing of the Armistice signed between the Allies of World War I and Germany at Compiegne, France for the cessation of hostilities on the Western front of World War I. This took effect at 11 o’clock in the morning, the eleventh hour of the eleventh day of the eleventh month of 1918. I can remember my teachers in grade school stopping classes at 11 a.m. to silently observe this event by standing and observing the flag. In an earlier column I described the formation in Cardington of Company. Texas due to strained relations with Mexico. Returning in March, 1917 it was just a month later war was declared against Germany and in August this company was integrated into the Rainbow Division and shipped overseas in December, 1917. During the war the first Cardington man to lose his life was Rex Jenkins. The local Legion Post was named in his honor. The War Bond drive in Morrow County under the leadership of Frank McMillin of Mount Gilead, was so well carried out the county received a granite Victory Shaft for purchasing the most bonds per capita of any county in the entire U. S.
That monument still stands on the Mount Gilead square. There are 29 names on that Shaft, all Morrow County men who gave their lives in this war. Cardington men who lost their lives and are named on the shaft include Myron W. Caris, Rex D. Jenkins, Edwin J. Kreis, Harker Miller, Lawrence W. Philbrook, Hartley Schofield and Earl Wright. The others named include Mount Gilead residents and men from the county: Vernon Z. Aldrich, Leonard Boham, Clarence Booher, Albert P. Bowe, Lester G. Carter, Fred B. Corwin, Ralph B. Cyphers, William McK. Daily, Frank George, Arthur V. Harris, Ray D. Helt, Emmett C. Hinderlong, George D. Hutton, Thomas P. Johnston, Ralph W. Mellott, Herman H. Morrison, John B. Murphy, William D. Scarbrough, Leslie D. Somerlot, Harry V. Williams and Cloyd O. Yeager. I have learned that the Spanish Influenza was running rampant during this time and several of these service men died of that disease, which hit Morrow County in October, 1918. The mayors of Cardington and Mount Gilead issuing a proclamation closing all schools, churches and places of public assembly. During that same month, six Morrow County men in three military camps were reported to have died from this flu. I will have more later on this dreaded disease and its effect in Morrow County. Sadly, many people died as a result of the disease, including the Cardington School superintendent in 1918. Meanwhile, I want to pay my homage and gratitude to these brave men who gave their lives so we may have ours today. We should never forget. was a graduate of the University of Louisville and moved his family into a newly built home on West Main Street. 70 years ago, November 1948: Two Cardington residences were placed under quarantine for scarlet fever. Harold Martin was elected Master of Lincoln Grange. 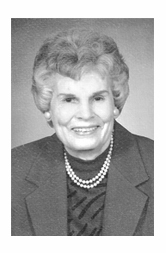 60 years ago, November, 1958: Betty Bowman, a 1954 Cardington High School graduate, made the honor roll at Olivet Nazarene Collete in Kanka- kee, Illinois. 50 years ago, November, 1968: Brenda Eastep of Cardngton, left for basic training in Texas in the Women’s Air Force, or WAF. 40 years ago, November, 1978: Melodie Heacock, Cardington High School senior, was one of nine young women who represented the four county high schools in the Morrow County Junior Miss Pageant. Mrs. LeAnne Gompf was director of the pageant.